I’ve been enjoying pyramid shaped spreads a lot lately. 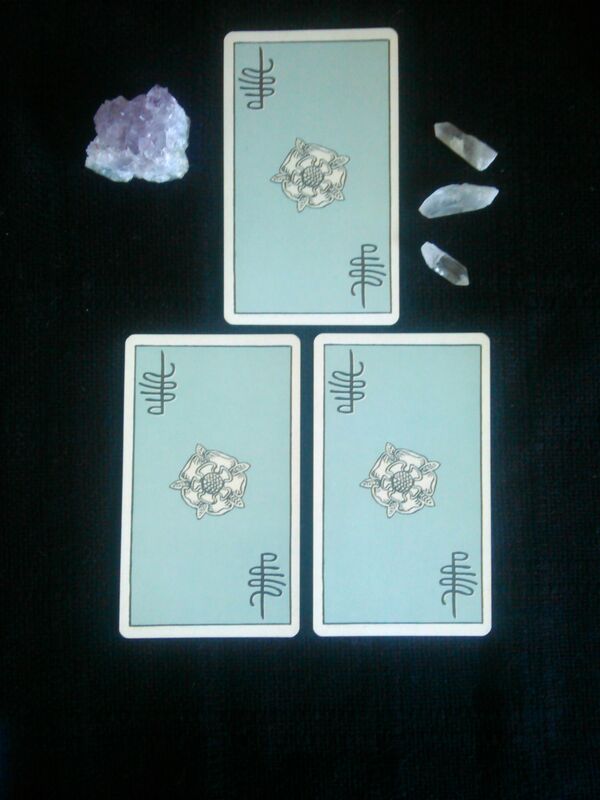 I feel like the shape of the spread in relation to the card positions can be very symbolic. The top-most card literally overlooks the rest of the cards, so naturally lends itself to being an overview of the situation or something relating to higher consciousness. 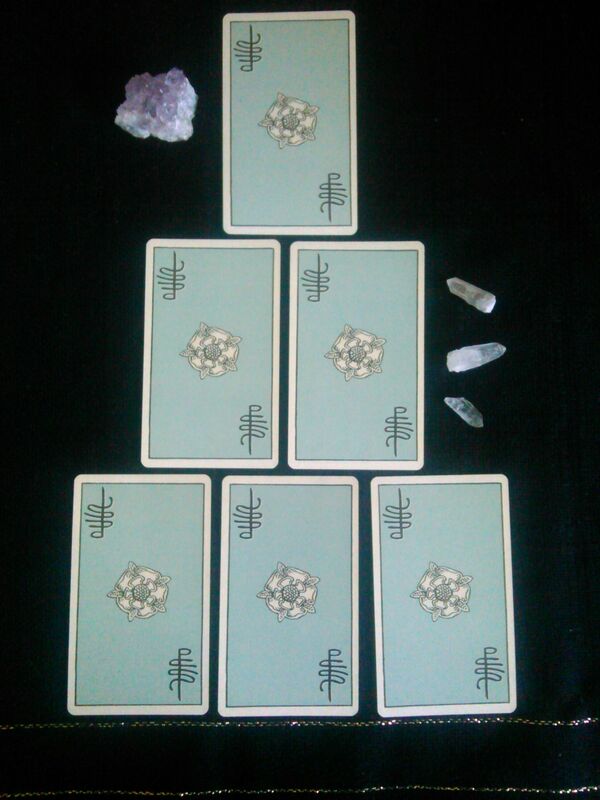 The bottom row as the base of the spread feels like an obvious choice for cards relating to the root or foundation of the situation.They can also represent practical, grounded actions that can be taken to resolve or navigate the situation. The middle row, sandwiched between top and bottom, feels like where the experience of the situation happens. It’s in the middle of everything, its literally being touched and effected by all the other cards in the spread, so lends itself to positions involving how the situation is making the querent feel, where confusion or misperception might be happening, and maybe where blocks and obstacles are occurring. I also like the three card variation. When I use it I usually go for an overview of the situation with the top card and Obstacle and Advice for the bottom two cards (sometimes Advice and Outcome). I hope you found this short spread/spread design ramble interesting, maybe even helpful. 🙂 Have a great day. Great post! I too have been experimenting with this spread shape – there was the one I published on my blog, but when I’m doing client readings I often switch up the positions on the spot, keeping the overall shape. Like you say, it really lends itself to that root –> goal/higher state thing. Thanks Beth! I’ll have to go check out the one you posted on your blog. I love seeing what other readers are doing with spreads. Thanks and keep it cool! The other nice thing about pyramidial spreads is that they lend themselves to card combinations. Pick two along the bottom: how do they ‘give birth to’ (or relate to) the card above? What about the other side? (your centre one will repeat). How does the middle row ‘give birth’ (or relate to) the one above? Of course, if your spread is top-down rather than bottom-up you can read this the other way. But it’s a really helpful way to practice card combinations! I like that. Thanks for pointing it out.